Do you love diving and being in the water? How would it feel to have that passion as your full-time employment? Need to know the salary of a diving instructor? Need some ideas for employment opportunities in the diving industry? Want to know what types of scuba diving vacancies are out there? Then, read on. (* Remember all salaries are average and yearly, unless otherwise stated) Please note this article is based on jobs within the US and similar countries, not countries in Asia and similar. However we do take a look at salaries from other countries later on in the article. Can you really work as a scuba diver? The good news is that if you seriously love diving, it is entirely possible to make a good living out of it. The caveat is that as with any occupation that people get into because they love, it requires considerable work to get to that point and then make more than a minimum wage. Starting out, you are going to be at the bottom for a while. Many others are vying for the same vacancies and so entry-level work is badly paid. The good news is that most give up at that point or they settle on entry–level only. Put a little extra work in achieving more qualifications and training and watch the competition fall behind. A scuba diving instructor is not the only position available, and gaining a complementary qualification will expand your scope and earning potential. For example, you could gain a marine science degree or mining engineering degree. It is, however, one of the more accessible entry-level positions for those hoping to make a living in diving. Now let's talk about what is the salary one can expect as a scuba diving instructor? Do different locations or different jobs make a difference to salary? 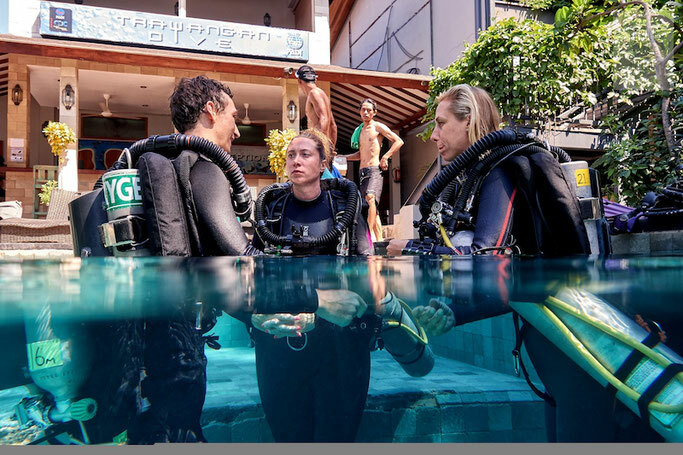 There is a huge variance in salaries reported for scuba diving instructors because different types of organization will pay vastly differing amounts. A boutique dive school in Hawaii might offer quite considerably higher rewards than one in Mexico or on a cruise ship for example. At US dive resorts the pay for an experienced diving instructor is $23,000 **, entry-level will pay a bit less at around $20,000. Certain places will pay higher salaries, and the norm is that, the worse the environment, and the harder the task, the higher the salary. In terms of employer types, resorts, and hotels, while charging high rates, also have huge overheads, so the pay is usually pretty low. Dive schools have a similar issue; their costs are lower, but the fees they charge are very competitive, so again margins are tight. They often have a good supply of new applicants from their graduates, so pay is usually, fairly low. Private gigs, if you can find them, tend to be better paid. An hourly rate might begin as low as $5-10 an hour for an intern and move up to around $30 for someone with specialty instruction skills and ratings. An average of $16 is realistic for most positions once you have a little experience, however many report earning far less than $10 while starting out. Some internships or junior positions at resorts invariably expect you to be at work long hours. However, you are only paid for the actual time with clients. Because of this, take-home pay can vary considerably as can your effective hourly rate. To give an example, if as a dive instructor you are expected to be at the office and available during working hours, but you are only paid $10 per billable hour. Often, you might end up working 50 or 60 hours, while billable hours are only 20 to 30 hours, resulting in effectively working for $5 an hour or less. As a result, take-home starts around $6000 as a part-time instructor or intern. For those that do well, this can move up to around $84,000 – $100,000 as a highly skilled contractor, management instructor, or specialist. Most instructors will earn between $18,000 to $36,000, and while this is not great you are doing a job you love, often accommodation is included, and there are chances for progression as experience grows. Annual salaries start around $20,000 and move up to the low six figures, although this is rare, and would apply more to specialized industries such as defense or mining. For most Divemasters, work is often tourism related and seasonal. 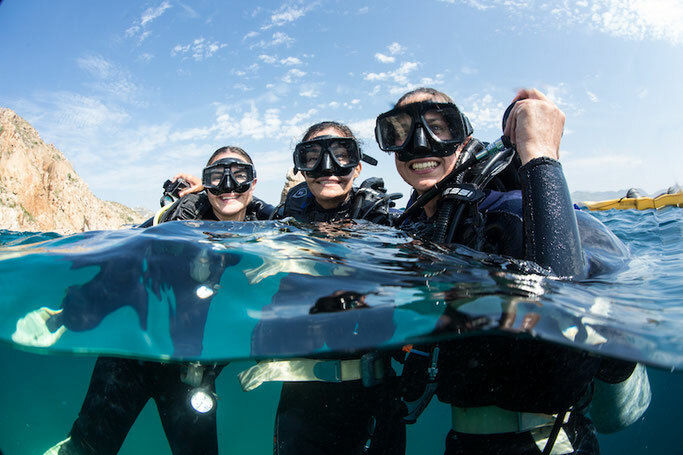 Since salaries can drop in the low season, to find consistent well-paid work dive instructors often have to move locations throughout the year. Another point to note in this respect is that instructors at resorts are treated more like contractors than permanent employees. This means that usually, a dive instructor will need to pay for his or her own insurance, health care, and pension. You may need to work out your own taxes. If you develop a good relationship with the employer, chances are you will get consistent recurrent work; however, there is still no hard guarantee of stability. Although not everyone loves to travel and there are possibilities of finding jobs at home, being willing to travel will increase your opportunities to earn. Of course, some countries pay better than others. Salaries in the USA average around $36,000, and can be as high as $100,000. Upmarket schools and resorts in areas like Hawaii or California have the potential for better tips and commissions than budget locations. There are many diving options available in schools, and tourist destinations in Australia. There are some working visa options available if you study there for a certain period, so it may be worth considering if you are looking for at completing your dive certificates. Ideally, for future advancement combine this training with a degree which will open up even more doors. Remember that, while rates of pay in Australia are pretty good, the cost of living is also exceptionally high, especially accommodation. As an Australian dive instructor you can expect to earn 15-25 AUD (10-15 USD) per hour or around 150-200 AUD (100-150 USD) per day. How many days a week or month? You will only know by asking the employer. Compared to other industries, the salaries of dive instructors in the Middle East are still relatively low. Instructors have reported average rates are 60,000-84,000 AED, (18,000-24,000 USD per year) in a resort where accommodation is included. Rates may be slightly higher if you can access private employers, government positions, or high-end schools. Again remember that accommodation rental is quite high in the Middle East, due to the large ex-pat populations that are restricted to renting and employer-housing schemes. The good news is that other costs of living are not that high; however, this salary will only provide a relatively basic lifestyle. Thailand dive instructors can expect anywhere between 30 to 60,000 THB per month, again equating to around $10,000-$24,000 USD per year which seems to be a common figure to get used to. This will vary with the high and low season as pay is often per student or per dive, however, remember the cost of living is relatively cheap in Thailand outside of resorts, and the lifestyle is pretty good. The Philippines offers similar opportunities. Countries like Vietnam, Malaysia, and Sri Lanka are all expanding their diving tourism, following in the footsteps of Thailand’s successes. While many parts of Thailand have become quite commercial, the ‘off the beaten track’ type will appreciate the less commercial aspects of these other parts of Asia. The average for a resort or cruise ship worldwide seems to be around $18,000-$24,000, while the salary is low, the benefits are a very low cost of living. Accommodation is usually included and meals may be included or at least subsidized. Depending on availability of work, you may be part-time, and the rates could be as low as $6000. Dive schools are often a starting out point for new instructors, and as stated before that while the work is tough, at least you are gaining experience. Remember to smile for tips. A navy diving instructor, while not the easiest selection process and rather physically grueling, is worthwhile in terms of benefits and salary if the military life appeals to you. A navy dive instructor is an officer commission and would bring a salary of around $60,000 -$84,000. The US navy is one of the biggest employers of divers according to Payscale.com. Once you specialize in different skills, for example, photography, underwater maintenance, mine diving, course coordinator, or boat master; the salary expected can increase significantly. Finding private clients or businesses where personal dive services are needed can be better paid. Salaries can be potentially from $48,000-$85,000 or more. A dive coordinator, training coordinator, or course director are advanced courses available for experienced instructors. 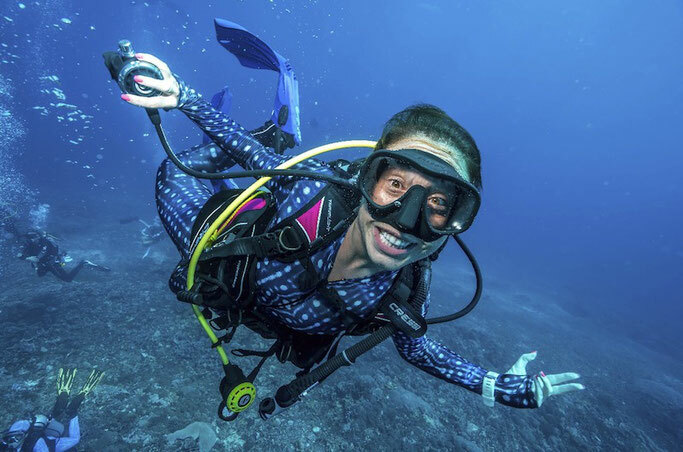 While these positions involve a mix of diving and office work, they also offer the chance to earn a slightly higher salary than a line instructor and salaries can range from $35,000 to $70,000. Asides from instruction there may be a variety of commercial activities that require a dive instructor rating, which can increase earning capacity. These types of jobs usually need training in additional skills you can perform underwater. Think of a few of the less obvious and go for it. Median rates for an experienced commercial diver is higher than most at around $58,000 a year. While salary is an important factor to all of us, it should never be your only motivation for becoming a scuba diving instructor. You need to both love the work, embrace the responsibility of your task, and understand the competitive and physical nature of the industry. If you are okay with this, then like with any career, how good you are at your job and at marketing yourself, and how willing you are to move for good opportunities, will determine your success in earning a high salary. Please note salaries are estimated, and could actually be a lot lower as scuba diving becomes more popular and more jobs become available. Not many of us are in it for the money!